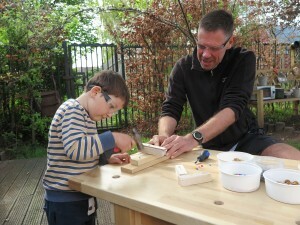 Pete Moorhouse, an artist educator from Bristol, will be travelling to Finland, New Zealand, Sweden and the USA to research best practice in woodwork in early childhood education. Pete’s Churchill Fellowship is supported by the Dr Mortimer and Theresa Sackler Foundation. Over the next 12 months, they will travel the world and research cutting-edge solutions to important topical issues. These 150 Fellows include people from all walks of life, researching topics across a broad range of sectors, from housing to nursing, science to education.